Stamp ink is the ink used for seals and rubber stamps. It is typically kept in a special container filled with ink called a stamp pad. A stamp pad contains a flat piece of cloth (pad) which holds the ink and has a lid to prevent the ink from drying and getting dirty. When in use, this lid is opened and the face of the rubber stamp etc. is pressed against the pad to coat it with ink. A feature of stamp ink is that it is more viscous than ordinary writing ink because it contains ingredients such as glycerin and glycol. This is so that the ink spreads evenly over the entire face of the stamp used. Water-based stamp ink produces clear imprints but requires time to dry. Being water-soluble, the ink runs if it gets wet. Oil-based ink dries more quickly and is durable but the imprint smudges easily. The coloring may be dye-based or pigment-based. Dye-based ink produces bright colors but is slightly less resistant to light. Conversely, pigment-based ink produces colors that are somewhat dull in comparison but have greater light resistance. 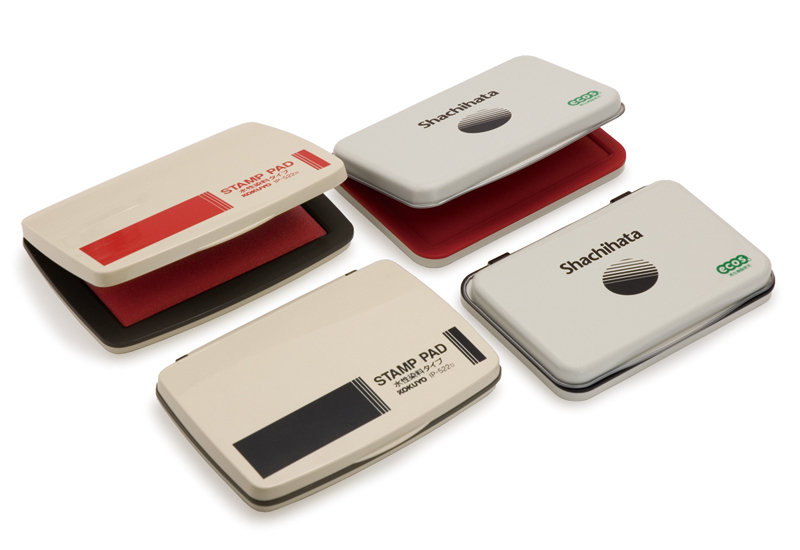 Various stamp ink and stamp pad products are sold by respective companies. Each product offers different characteristics such as good color development, excellent light and water resistance, quick-drying, slow-drying, useable on glossy paper, luminous under black light, etc. Some stamp inks can be used not only on paper but plastic, metal, glass and wood. It is therefore best to select an appropriate product according to its use and purpose. 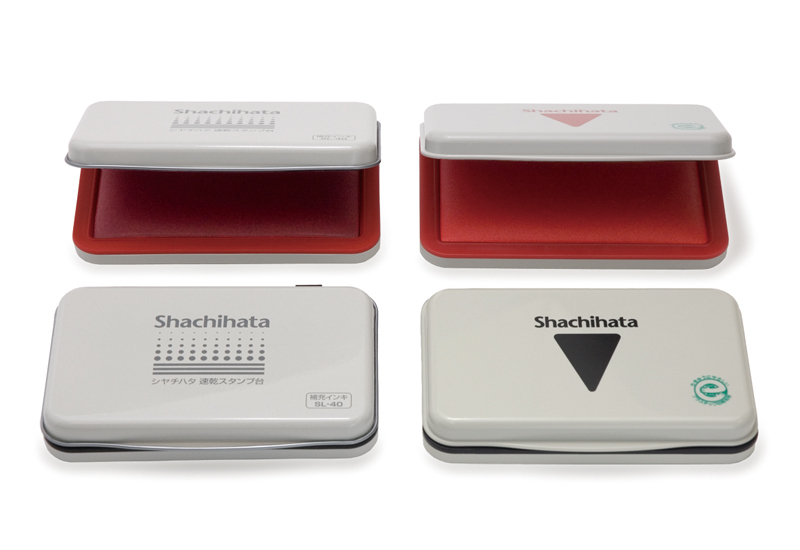 When refilling ink, the specified ink for the stamp pad should be used. Adding a different type of ink could degrade the ink’s properties significantly. Stamp ink can be purchased at stationery stores and shops selling office supplies.